INDUSTRY UPDATE: Recently, the ASTM committee changed the F1869 Calcium Chloride (CaCl) standard to specifically disallow CaCl testing for all lightweight aggregate concrete, gypsum concrete, or over patching and leveling compounds. Going as far back as the 1940s, CaCl testing has been used to determine the suitable moisture condition of poured concrete slabs when applying resilient floor coverings. The standard for performing the CaCl test has seen many changes over the years, but both the science supporting CaCl as a test method and the reliability of the test method have remained problematic. And findings of recent studies have proven the ASTM F1869 Calcium Chloride standard is no longer an acceptable test method for lightweight concrete, gypsum concrete, or over patching and leveling compounds. 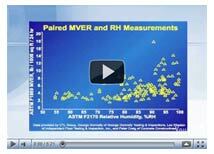 Since 2002, ASTM F2170 In Situ Relative Humidity (RH) testing has been replacing CaCl as the preferred method for concrete moisture determination. Not only are RH results more consistently reliable, RH testing has also proven to be cost-efficient, user-friendly and more appropriate to the resilient floor covering industry. Understanding the changes and the science behind RH testing and ASTM F2170 will help installers, developers and contractors specify the testing method best suited to give reliable, actionable results for the resilient flooring industry. To view the entire webinar, visit https://www.wagnermeters.com/flooring/rapid-rh-and-concrete-webinars/free-webinar-on-measuring-moisture-in-concrete-slabs/ to enroll in a free event by industry expert, Howard Kanare. 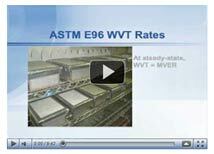 Get your copy of ASTM-F1869-10 today by visiting: http://www.astm.org/Standards/F1869.htm.